Donate directly to families that need Indrepta and TauriNAC but find it hard to make ends meet. 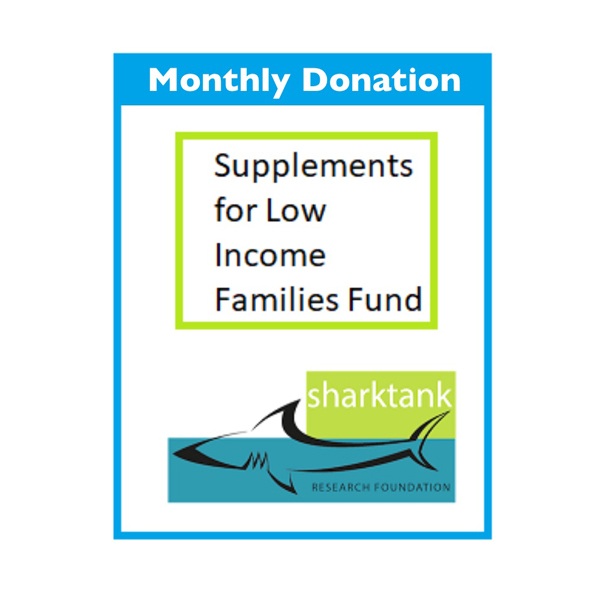 Purchase “Supplement Dollars” at $1 per item. Please adjust the quantity to match the donation you wish to make. 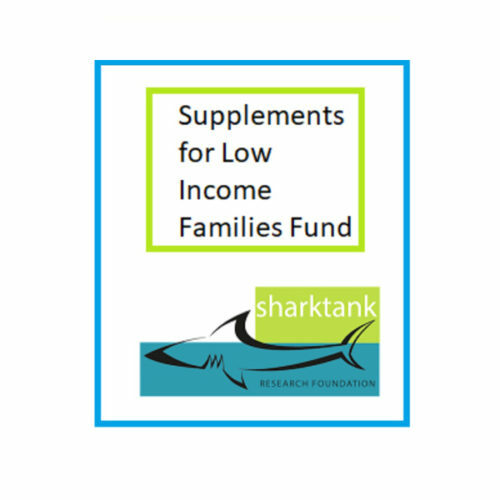 100% of money raised through this item goes directly to Sharktank Research Foundation’s “Supplements for Low Income Families” program which subsidizes Indrepta and TauriNAC to CF families that find it difficult to make ends meet. The fund is managed by the non profit Sharktank Research Foundation [501(C)(3)], and you will receive a receipt for your donation for tax purposes. Beneficiaries of the fund are chosen solely at the discretion of Sharktank and are based on genuine financial hardship and the availability of funds.